According to the councillor for Tourism Fanny Serrano, data from waste generation, water consumption and hotel occupancy confirm what was already a common feeling in the tourism sector of Torrevieja. This summer was a record breaker in Torrevieja, especially the first two weeks of August. Despite the fact that it is "very difficult" to be accurate when it comes to confirming resident figures in a city based on residential tourism, councillor Fanny Serrano explained that in terms of waste collection there has been an increase of 100 tons in August in comparison with from the same month last year, amounting to 6,155 tons a day on August 14th. A total of 5,300 tons of waste were collected in Torrevieja last July, representing 55 tons more than in July 2015. With regard to water consumption in August, it has been increased by 3.69% over the previous year. As far as hotel occupation is concerned, the figures show a positive balance for the summer season, with an occupancy rate of approximately 85% in August. 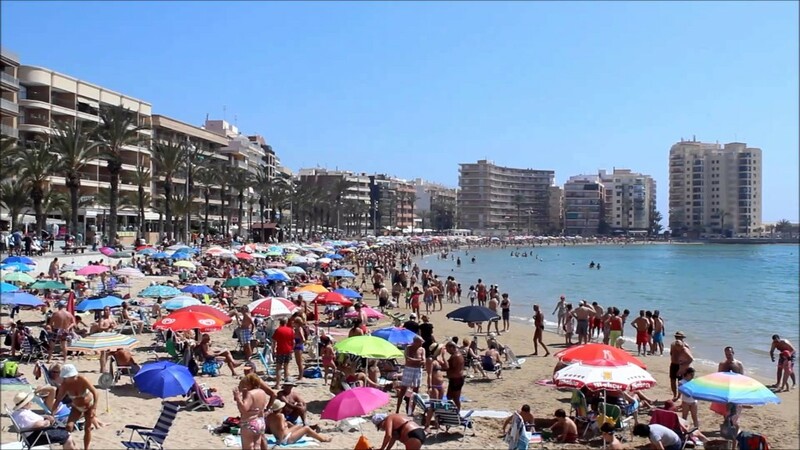 Visits to Torrevieja´s Tourist Office during July and August amounted to 14,376 people, 66.7% of which were international tourists demanding local information and Costa Blanca information.